ICOs- Are They Any Good?? The term ICO stands for “Initial Coin Offering” and is an event where mostly startup companies try to raise funds for their Crypto-currency projects. These companies sell out a part of their cryptocurrency, in the form of tokens, to the general public. In an extremely vague way and in a layman’s term an ICO can also be referred to as an IPO of cryptocurrency tokens, instead of the equity shares which are presented in an IPO event. 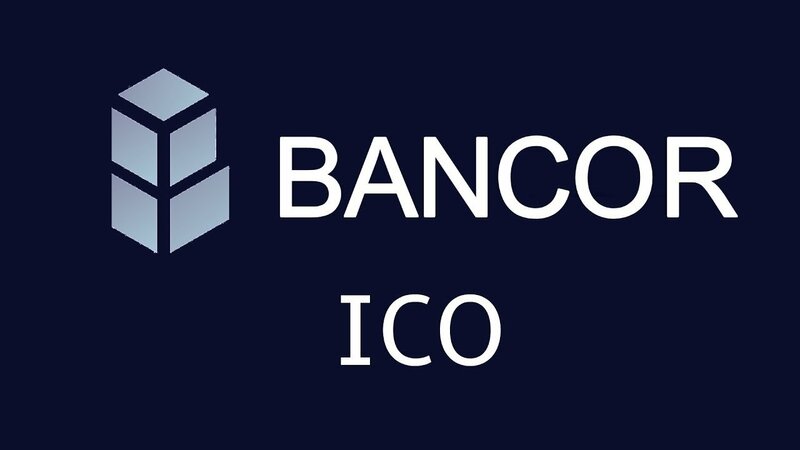 The ICO for Bancor was opened for a day on 12th June 2017. The white paper of Bancor looked promising, the person who was backing it (Tim Draper) was also something that was in the favour of this ICO. Riding high on the sentiments and the euphoria that was created around this project, general public just jumped right into it with all they had got. And in no time the ICO was deemed to be a bumper success as it had come out victorious in cashing-in on the market sentiments and the rosy picture which was painted by the overly enthusiastic early adopters. The result was a jaw dropping, mind boggling $152.3 Million. I must say that Bancor have definitely done something right somewhere, and that something was done by their marketing team which did all the handwork. 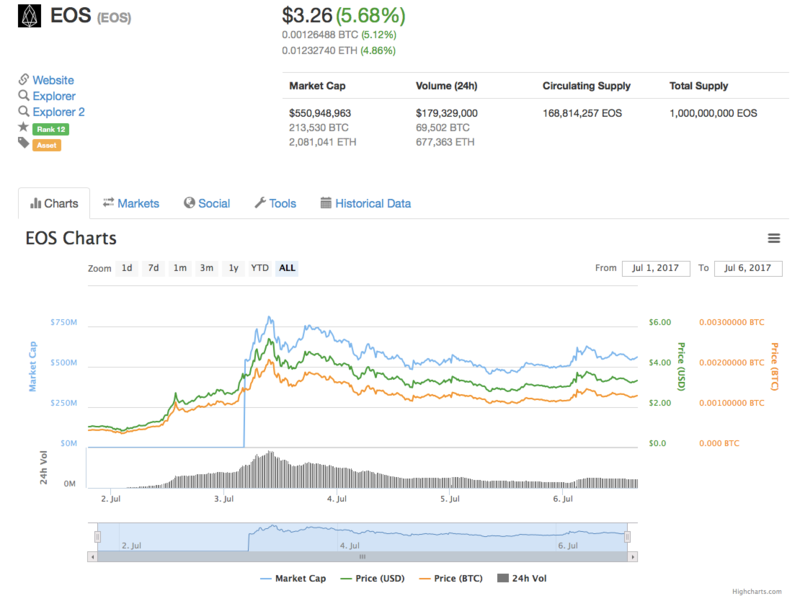 Bancor opened with an initial price point of circa $13 and soared to an all-time high (till date) of circa $23.73 in a few days that followed. Everything was going all fine, people were gunning for it from all walks of life and guess what as the few days passed by, the initial investors started to withdraw their money by profit booking. This triggered a chain reaction and in no time the fear sets in and people start to salvage as much as they could. On 22 Jun 2017 Bancor saw its biggest fall from $20 to $4.18. The fall of the sand castle didn’t stop there and Bancor kept on slipping in the days that followed where it touched its all-time low (till date) of around $2.24. 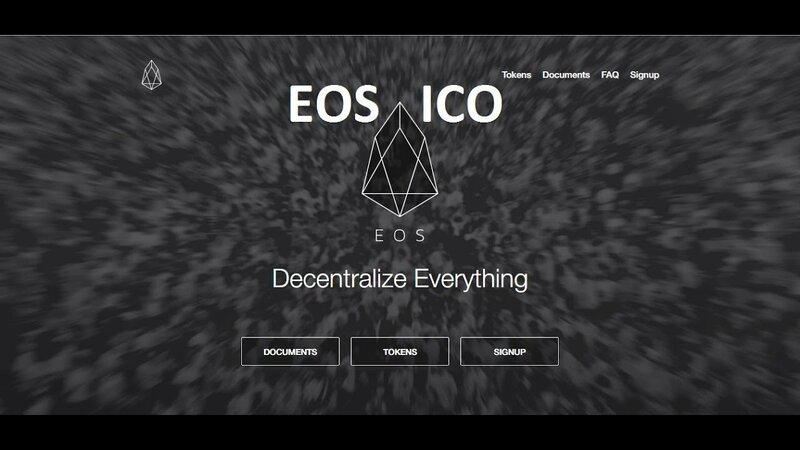 Block.One, the company behind EOS.IO, had drafted a unique ICO proposition which comprised a fundraising window of 341 days, in order to counter the flash rise phenomenon & to keep a tab on the over valuation of the initially offered coins. In the first round of coins offering i.e. within the first 5 days, 20% of the entire lot was offered and it just triggered a frenzy in the crypto enthusiasts. The whole ICO set a new benchmark for a successful fundraiser event which ended up raising $185 Million in 5 days. And with all of this the price of EOS Coin just soared from its initial value of circa $1.03 to $5.40 in a few days. But there after EOS saw some profit booking and has been on a steadily decline ever since with its current value of $3.58. This steady decline and a minor recovery in its value could be a result of the unique way this ICO has been planned. Every day a certain percentage of the coins are offered in a 23 hours cycle and hence we didn’t witness a rags to riches story in this case and a nose dive from that point onward. So, can we deem this ICO a success? I would say that we will have to wait till the ICO’s last offering gets over i.e. 300 plus days later and Block.One delivers upon the promises they have made in terms of providing a blockchain based operating system like construct, onto which developers would be able to deploy their DAPPs. Also as per their promises, the system would be completely free for the users, minimum latency, parallel processing capability, capability to handle millions of transactions every second & horizontal and vertical scalability of the DAPPs at any point in time. If you were to ask me, I would say that those are quite some promises and if achieved, we are bound to have a winner on our hands. Only time will tell if things get materialize the way Block.One want them to and if they do then we will see the rise of an Ethereum killer. In my opinion the rudimentary predicament with an ICO is the event itself. Mostly but not compulsorily people who participate in these ICO events are general public. A majority of them come from a non technical backgrounds and hence they are totally unaware of the complexities & nitty-gritty involved in the promises made in the white papers, presented by the company. Also adding onto it, due to there non technical or engineering backgrounds they do not comprehend the white papers the way they actually should. Since they also do not perceive the intrinsic risks involved in a business, like a tech startup, all they see (or want to see consciously) and fall prey of is the euphoria created by the marketing firms. A fear of loosing or being left behind, in the race of making a fortune for themselves seeps so deep into them that gambling with their hard earned money also doesn’t seem illogical. One might ask why am I being such a spoil sport with respect to ICOs, have I lost any money on them? And to that, my answer would be NO! as I do not believe in gambling with my money hard earned money. Now another might knock the door which would be, how can someone have the audacity to refer these hugely popular ICOs as gambling events? And to answer this I would in-turn ask a few questions and if you end up answering them in a ‘no’ for most of them, then I would have proved my point. Q1- Will you give your money to someone just because he or she says that they have a great idea? Q2- Will you contemplate funding a business which might (and yes might!) become a successful business in the future and possess no value presently? Q3- Will you ever believe a tailor who says “your blazer will be ready by the evening, I already have all the buttons with me and now all I need to do is to design your blazer, procure the cloth, cut it, stitch it & last but not the least attach these buttons (which I already have with me) onto it”?